Upon arrival at New Delhi International Airport, you will be transferred to your hotel by our representative. Dinner and overnight stay will be at the hotel. After relaxed breakfast our representative will transfer you to Delhi domestic airport to catch flight to Jodhpur (the second largest city of Rajasthan, fondly known as the Sun City or Blue City). On arrival at Jodhpur airport you will be taken to Rohetgarh to check into pre-booked hotel. Evening enjoy the village safari on a horse. Visit the local house in the village & interact with villagers to know about the rural life in Rajasthan. Dinner and overnight stay will be at the hotel. Today in the morning after having breakfast at the hotel, proceed towards Jodhpur. On arrival at Jodhpur, check-in to the hotel. Afternoon commence on the sightseeing tour of Mehrangarh Fort which was built by Rao Jodha (the founder of Jodhpur) in the year 1459. The fort house beautiful palaces & museum. Visit the Umaid Bhawan Palace which was constructed by Maharaja Umaid Singh in the year 1929. One part of the palace is converted in to a museum. Also visit Jaswant Thada Memorial built by Maharaja Sardar Singh in the memory of his father Jaswant Singh. Jaswant Thada is constructed in graceful white marble and often called the Taj Mahal of Marwar. In the evening walk around the local markets near Ghanta Ghar. Dinner and overnight stay will be at the hotel. Today in the morning enjoy the delicious breakfast at the hotel followed by drive to Bikaner. On arrival at Bikaner, check-in to the hotel. Afternoon embark on sightseeing tour of the city. 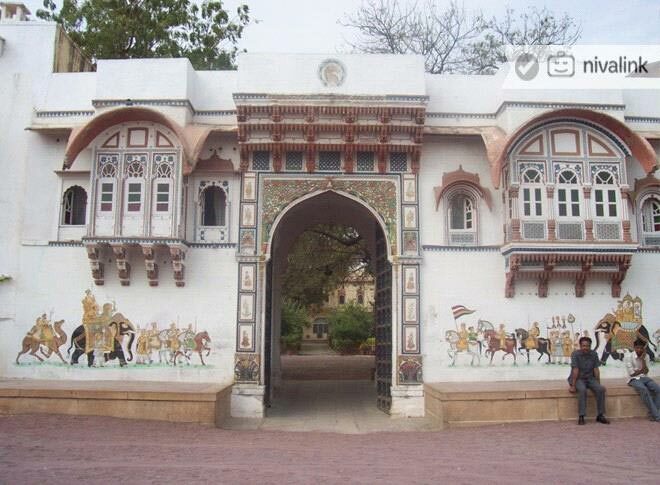 Visit Junagarh Fort built by Raja Rai Singh in the year 1589 AD. Visit the Lalgarh Palace, built by Maharaja Ganga Singh in the memory of his father Maharaja Lal Singh. In the evening visit Camel Breeding Farm & Research Centre. On time return to hotel for dinner and overnight stay. After having breakfast at the hotel, drive to Jaisalmer –the Golden City of India. On arrival at Jaisalmer, check-in to the pre-booked hotel. In the evening visit Sam Sand Dunes to see the panoramic view of the Sun setting down between the rippling dunes. Enjoy the Camel Ride & Dinner at the Sam Village. Return to the hotel for overnight stay. Take breakfast and proceed for sightseeing tour of Jaisalmer –the Golden City of India. 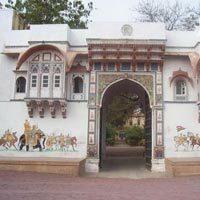 Major attractions include Golden Fort (Sonar Kila), Jain Temples, Patwon Ki Haveli, Salim Singh Ki Haveli and Nathmalji-Ki-Haveli. On time return to the hotel for dinner and overnight stay. Have your breakfast at the hotel. Drive to Jodhpur Airport to board flight for Delhi. On arrival in Delhi, our representative will help you transfer to New Delhi International Airport so that you can catch your flight for your onward destination.